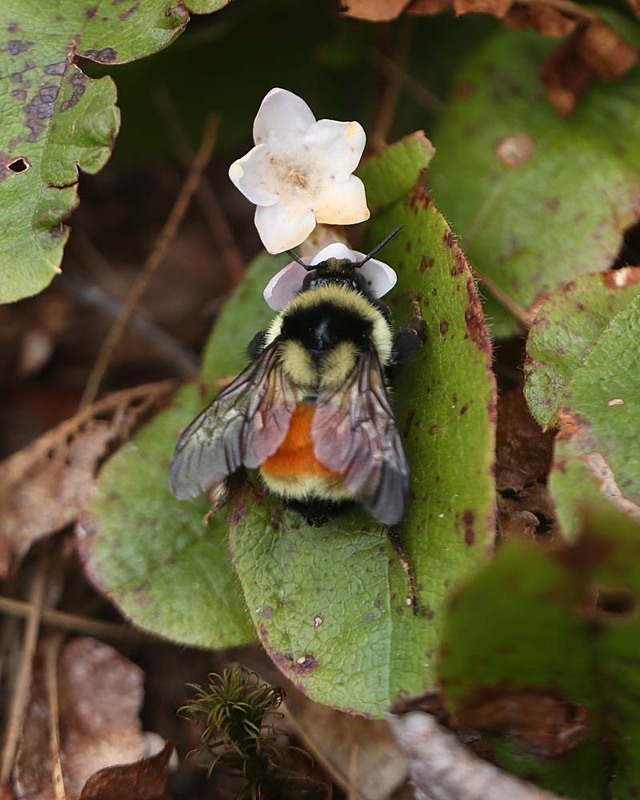 Most bumblebees, unlike honeybees, die in the fall. Only the young, fertilized bumblebee queens overwinter. When they emerge early in the spring, each must start a new colony, with no help from worker bees. The queen builds a ball of moss, hair or grass, often in an abandoned rodent nest or small cavity. Within this ball the queen builds a wax honey pot, and provisions it with nectar from early-blooming flowers. Next, she collects pollen and forms it into a mound on the floor of her nest. She then lays eggs in the pile of pollen, and coats it with wax secreted from her body.